Percy Gets Upset/Percy se enoja: Bilingual (Paperback) - Books By The Bushel, LLC. What do you do when you're upset?/¿Que' haces TU' cuando esta's enojado? Offered EXCLUSIVELY at Books By The Bushel! Percy sometimes gets upset. He crosses his arms, stamps his feet, and scowls. But when he learns how to calm down, he has fun again! Stuart J. Murphy has developed a new series: I See I Learn®. 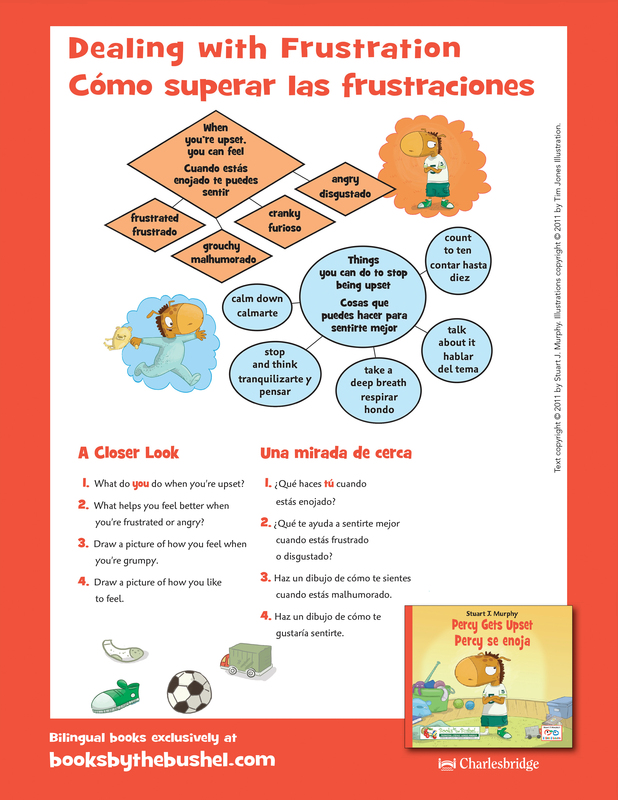 The I See I Learn® books feature simple stories and visual learning strategies to help young children learn important social, emotional, health and safety, and cognitive skills. Stuart, a visual learning specialist, has also served on the authorship teams of a number of major educational programs. Each I See I Learn story includes a special two page section at the end calledA Closer Look. It provides both a visual review and a series of questions designed to help parents, teachers and caregivers extend the learning beyond the book. Download a poster version of Percy Gets Upset perfect for classroom and refrigerator doors! Watch as award winning author Stuart J. Murphy introduces his BILINGUAL books!